This is a first chapter in the series of BBQ basics posts, and today I am going to talk about rubs. These are mixes of dry or wet spices you can use for either curing the food before grilling, or seasoning it right before or at the time of grilling it. For me these are the very basics of grilled or smoked food! I want to start with one of my favorite seasoned salts. It has no big name, so… let’s just call it a seasoned salt #1. Mix all the ingredients all together with your fingers and keep in an airtight jar and use wherever you would use a regular salt. This mix can be kept for a couple of months. The next mix is a dry rub which you can consider the only rub you’ll ever need :). It is equally good with beef, poultry, pork or lamb. You can take this mix as a basis, and then play and experiment with it – the possibilities are truly endless! Combine all ingredients in the bowl and mix with your fingers – it works much better than spoon or fork :). Same as with the salt, the mix can be stored in an airtight jar 2-3 months. A spice rub can be also wet, a paste, if you like, and not necessarily a mix of dry spices. Here’s a Tex-Mex wet rub, which I found in one of my BBQ books and added to it few twists of my own – tequila-chili paste. Combine all solid ingredients (coriander, peppers, garlic, salt, sugar and cumin) in a food processor or a blender and start processing. Then gradually pour in the liquids – tequila, orange and lemon juice and eventually – olive oil, processing until the paste is smooth. This mix is especially good with poultry, beef and pork, when you want to give it that extra kick of heat. It’s worth mentioning that when curing the meat you should be careful with the times. For example, a chicken cured in the BBQ rub needs only 1 hour to absorb the tastes. Beef, however, that’s another story – curing a brisket can take also overnight. Spareribs I’ve cured for 3-4 hours and it was quite good. 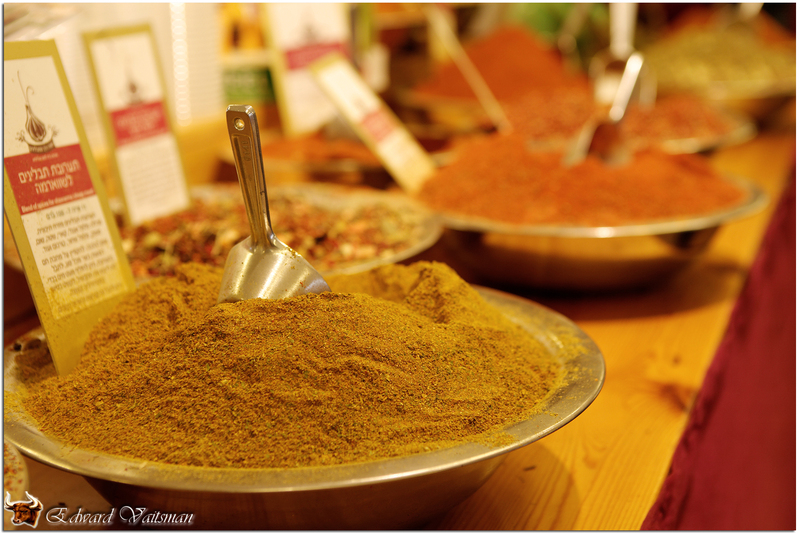 So if I were to choose one advise to give about using spice rubs, it would be that – timing is everything. Stay tuned – next chapter is about marinades, glazes and other useful liquids :)! This entry was posted in Theory and tagged BBQ, dry rub, rub, salt, spices, theory.